So let’s just be honest shall we? This is the first Food Revival post in a year? Uh, probably even longer. I won’t even blame it on those little feet you see above this post. Well, maybe I will. 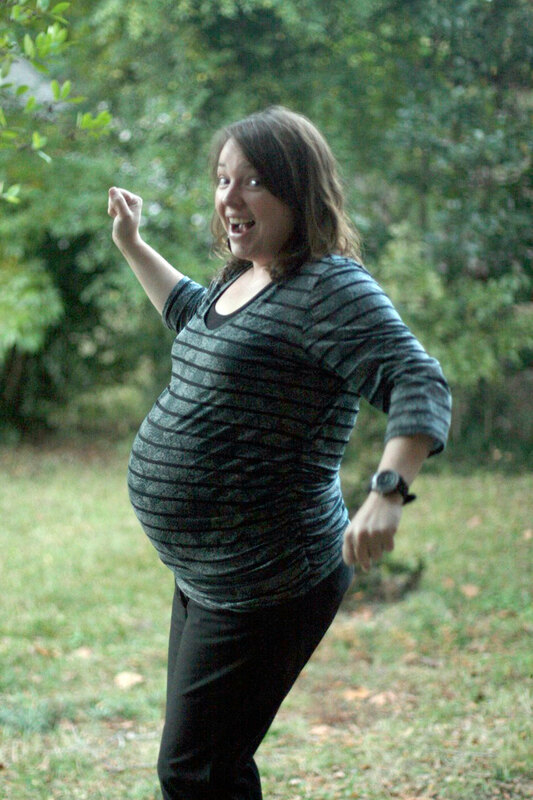 You see, things beyond my control happened during my pregnancy. Things I used to love (like garlic and cilantro) quickly became my worst enemy. 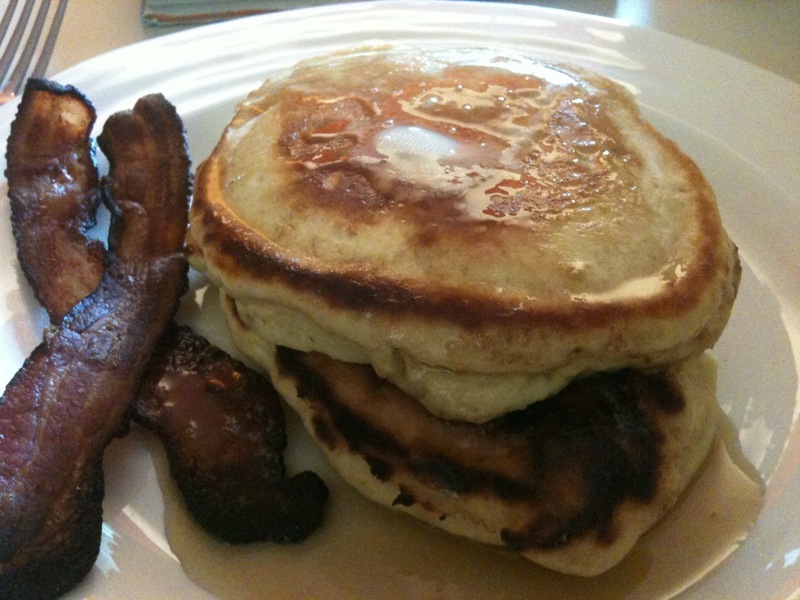 Then gestational diabetes entered in the equation, which may or may not have had to do with the “Pancake Pregnancy” series I documented on Facebook and Food Revival. You get the picture: I was spending more time testing my blood and eating extremely balanced meals than my normal routine of cooking every night with my husband. And then I just got b-i-g (see below) and decided to not do much of anything that last month. So then I had my baby. My first baby. Yep, it blew my mind and I continued to neglect Food Revival. Truth be told? Instead of cooking, I was simply surviving those first couple (okay, several) months. I did, however, spend some time blogging on Mama Butterfly about my experience as a new mama in search of some self nourishment. That helped. Through it all, I really missed writing on Food Revival. For those of you new to this site, let me give you a brief history. (BTW, I’m trying to get my old posts transferred over to this site, but that is going to take some time.) Food Revival began with a friend of mine as we set out to discover/explore our local Birmingham, Alabama food community. You see, I knew plenty about the national food movement because at that time I was working at one of the largest epicurean magazines in the country. Those national projects inspired me to find folks working on similar things in my own backyard. We started profiling local farmers, visiting the farmers market more often, using local veggies in recipes, and discovering crazy good stuff all around us. When I was laid off from that epicurean magazine (shoo-wee, that print journalism degree sure seemed like a good idea way back in 2000), I found my way to Jones Valley Urban Farm. I knocked on the door and said, “I have some severance and some writing/marketing experience. How can I help?” And that’s where everything spiraled out of control in the best of ways: I helped coordinate events, volunteered at numerous food-focused non-profits in town, made some amazing connections, and documented every single step of it on Food Revival. I documented my own rediscovery of food/seasonality/cooking, discovered a new community (one I never got to know when I first moved here for the magazine internship), and countless other life lessons along the way. 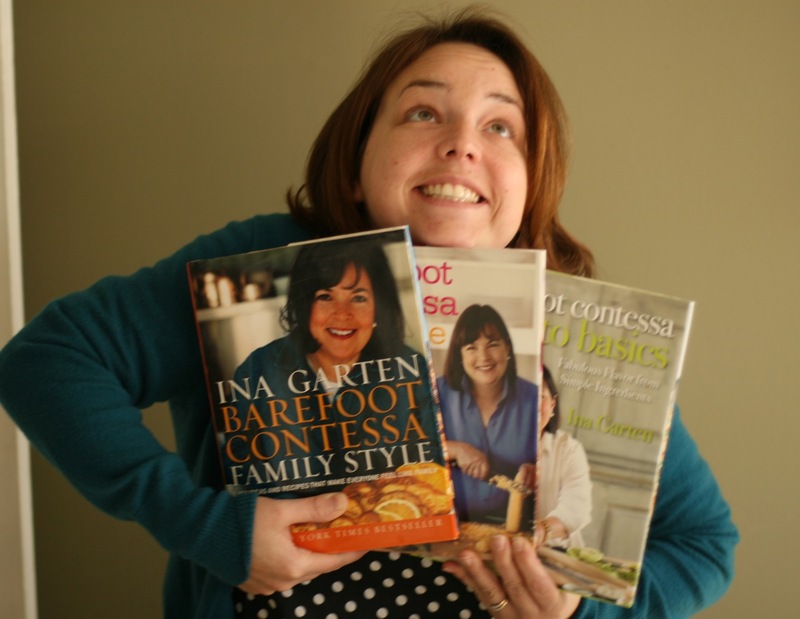 I shared recipes, my discovery of the rutabaga, and my head-over-heels love for Barefoot Contessa. All of this food work eventually led me to the job I do now, which is working on health initiatives at the United Way. So between the work, the kid, and family time–it has been a whirlwind of a year (or two). So Food Revival is back. I’ll be talking about the same stuff: recipes, local food producers, food justice, community work, anti-obesity initiatives, and health equity. Of course, I will also talk about that cute kid of mine, family menus, and kid-friendly recipes. Thanks to my “new normal,” you will probably see a crock pot every now and then. As I said before, I’m in survival mode. Oh, and just a fair warning: I use em-dashes, ellipses, lots of commas, run-on sentences, and plenty of parentheses. I really appreciate your patience as I found my way through a really important time for our family. I’m so glad to be back and ready to get caught up with all of y’all. Lordy, Amanda, you have plumb worn me out! (In a good way)! Glad you’re back!